With Samsung finally taking the wraps off its S6 and S6 Edge smartphones, it hardly comes as a surprise that the world of technology has been offering its thoughts on its new offerings. Here's a roundup of what technology pundits have to say about Samsung's Galaxy S6 and the Galaxy S6 Edge. "This is the best phone Samsung as ever made, which isn't a very difficult thing to say given the efforts in the last two years. But it's managed to make a huge leap forward, offering something that's the equal of the best in the market and set a very high bar to reach. It's still got a couple of niggles: I'd have loved to see a completely redefined TouchWiz, and I'm not convinced the battery life is going to be stellar. But this phone is simplicity redefined for the South Korean brand. No betting on stupid hand waving gimmicks, no skimping on design to just make it waterproof… this is a premium phone as it should be. Samsung is back." "Samsung seems to have listened to what its users want. Battery life and build quality are the two things people have been crying out for improvements in and they're exactly what Samsung has delivered. In the long run it'll be interesting to see how the all-glass body stands up to drops. But with Cat 6 LTE, wireless fast charging and tap to pay this phone feels future proof. We can't imagine asking for much more from a handset." "Sleek and powerful, certainly - but it was a fairly bitter presentation. The firm took more than a few snipes at Apple, rather than leaving it to reviewers and users to draw their own conclusions about the Galaxy's many innovations . The demonstrations of like-for-like pictures and video appeared to put the S6 streets ahead of the iPhone 6, but I imagine Apple would dispute the conditions." "Tech experts' first reactions to the phone have been largely positive, particularly welcoming the change to a metal design." 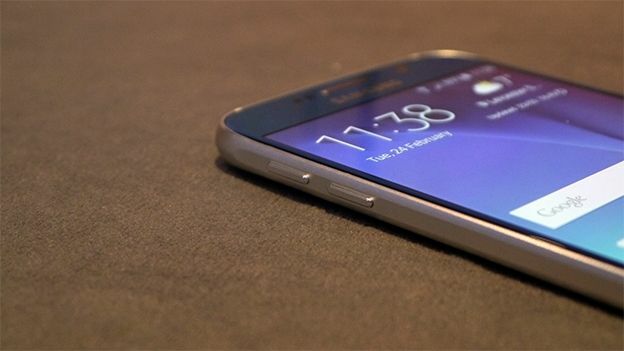 "Samsung has finally decided that plastic isn't fantastic, with a welcomed move to a full-metal body flagship phone. These waters are already tried and tested routes by the likes of HTC and Apple, where a cheaper looking handset just doesn't cut it anymore in the premium mobile phone world."